Pictures: Maps from LandWater page. Wide spread rain fell over large parts of southern, central and northern Namibia over the past two days and more rain is predicted by various weather services. Good rains fell in and around Keetmanshoop and over the Kalahari Desert several farms surrounding small towns like Aranos also received welcome showers. Some showers were also reported over Windhoek on Saturday evening. 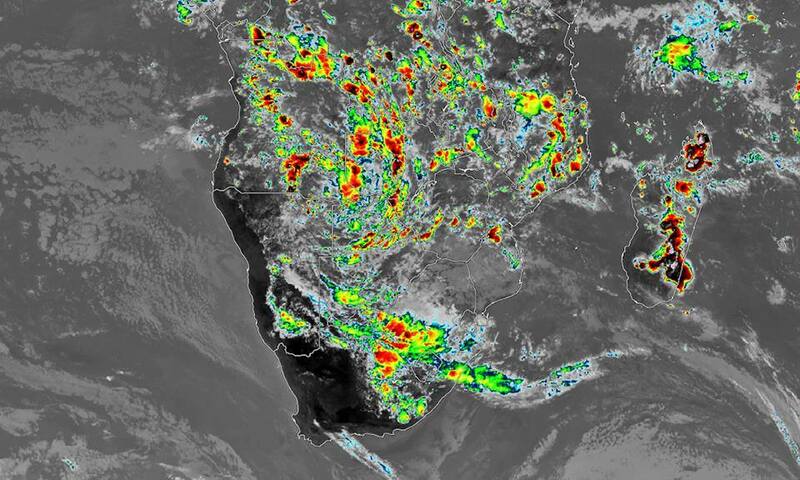 The outlook for more rain over the interior of Namibia still looks promising as the Namibia Meteorological Service predicts partly cloudy and warm to hot conditions with widespread thundershowers and rain for the country over the next two days. Weather at the coast is set to warm up as some east wind conditions are expected. Partly cloudy and cool to warm conditions with fog patches at first is predicted for the coast. 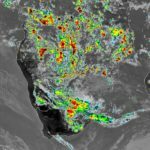 International weather models as provided by LandWater still supports rainfall numbers of up to 200 millimetres in some countries of Southern Africa. Namibia is included in these models with up to 120 millimetres in total expected to fall in some parts of the country over the next ten days according to the ECMWF weather model. As can be seen on one of the maps (ECMWF) below the areas coloured pink and orange can expect rain of anything between 150 to 200 millimetres in total. The other maps below indicate where rain most likely fell over Namibia, Botswana and South Africa over the past 24 hours.